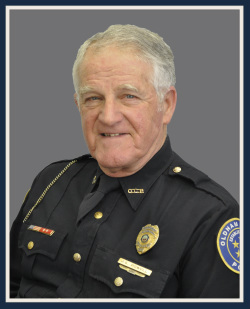 Chaplain Jim Powell is the Chaplain of the Oldham County Police Department. The police culture has traditionally been a very close-knit family. We are known for taking care of our own. So it stands to reason that we would have someone whose primary role is to aid and to care for our own police department family. Chaplain Powell's primary role is to care for the emotional and spiritual needs for Police personnel and their families. He is not a police officer, but is an ordained minister. He has been with the Oldham County Police Department since 1997. You can contact Chaplain Powell at (502) 222-1300, or VIA email.